Don’t worry… the dry season in Grenada meaning the lack of rain… not alcohol. In the tropics, we have two seasons, wet and dry. From June to November, are the rainy months that flourish the tropical islands with fresh water to keep the tropical flora and fauna abundant. However, in the dry season, usually starting from December and finishing in May, bring the months with less rainfall … leading to the dry season in Grenada. In March we hit a moment of drier months of them all, the grassesare brown and some of the plants looks a bit withered, but not dead. They willall bounce back to their verdant colours with any sprinkle of rain from above. With the dry season in Grenada, comes a time of the TradeWinds. The winds that carry throughout the Caribbean, usually from the north.Bringing with it, fresh tropical breezes that keep you cool all day long. 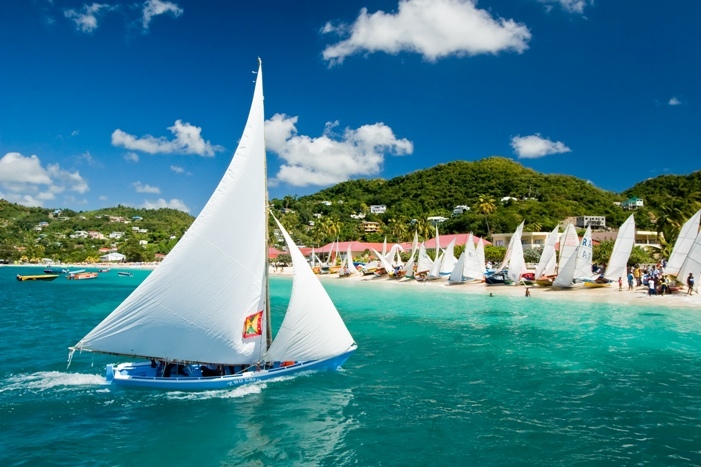 These trade winds also make Grenada and the sister islands a perfect venue for Sailing. This is why the sailing regattas in the Caribbean usually happen in the dry season months. The Grenada Sailing Festival usually falls on the last weekend of January, and the local wooden Work Boat Regatta the first, week of February. Dry season in Grenada also boast the sea at its most blue. Perfect visibility for scuba divers to check out the numerous sunken shipwrecks that lay in Grenada’s waters. Not to mention the Bianca C, the Caribbean’s largest shipwreck. 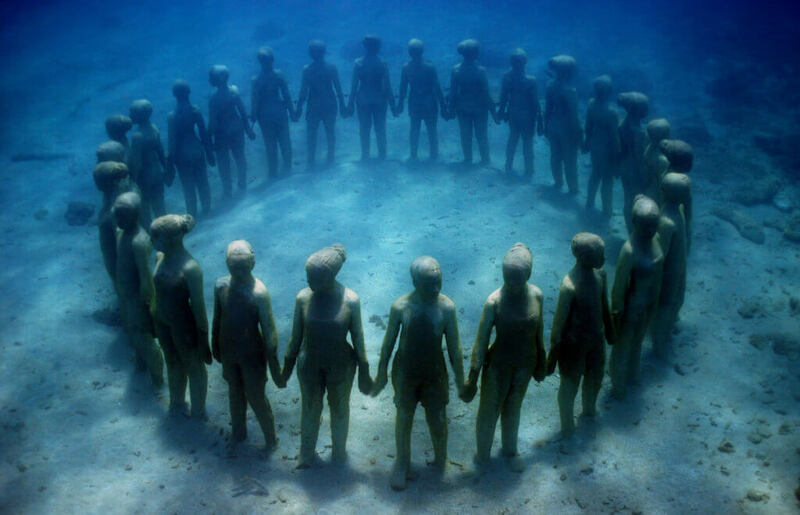 Don’t forget snorkeling or diving Grenada’s Underwater Sculpture Park. Laluna’s offers a snorkeling trip every Thursday on our privately owned catermaren, exclusively for Laluna guests. 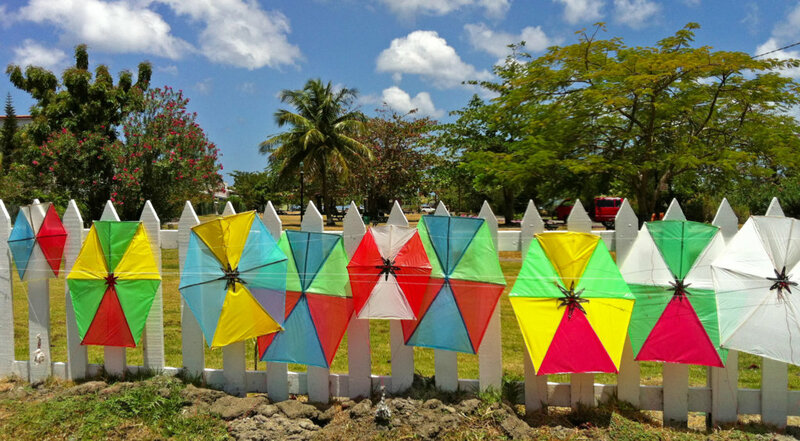 With the trade winds of the dry season in Grenada alsobrings Kite flying season. Local vendors that make their kites of colourfulplastic, that is stretched over a stripped bamboo frame. They are sold invarying sizes on the side of the road. Just some string and a tail is all youneed to fly your BullDog kite into the air. You can often hearing the buzzingof these speciality design kites over head. 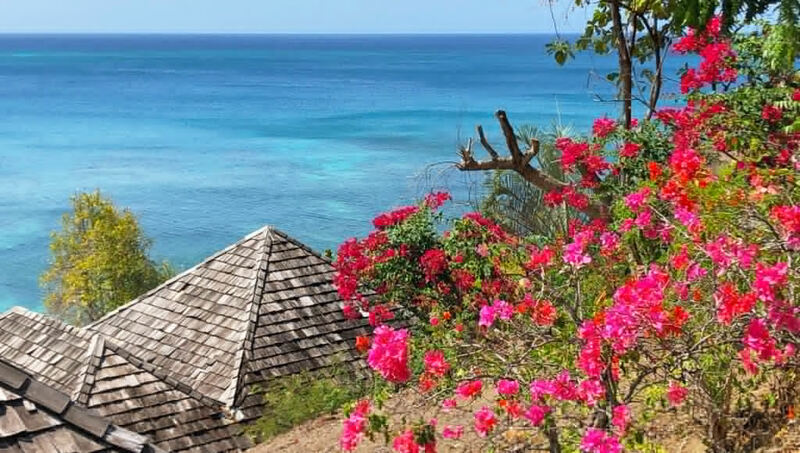 The beauty of a dry season in Grenada is to see how the flowers explode in vibrant colour. The Poui trees are intense with yellow or pink flowers that cover the trees and lay a carpet of colour at their feet. The bougainvillaeas are at their peak performance boasting colours of magentas, whites and oranges, and is a preferred plant to use around the island. Without the dense rainforests, the colourful houses thatscatter the hillside are easier to view, making for a colouful island drive tosee how the locals live. Simplicity is not to be confused with poverty. While the houses are small in square footage and quaintly painted homes, houses a family full of Grenadian pride. While the lower lying areas of the island tend to be drier,the higher mountains tend to catch any rainfall if any cloud passes. So a hikeinto the rainforest is easier without slippery footage. There is stillsufficient water to keep the waterfalls a must visit while on your stay on theisland. 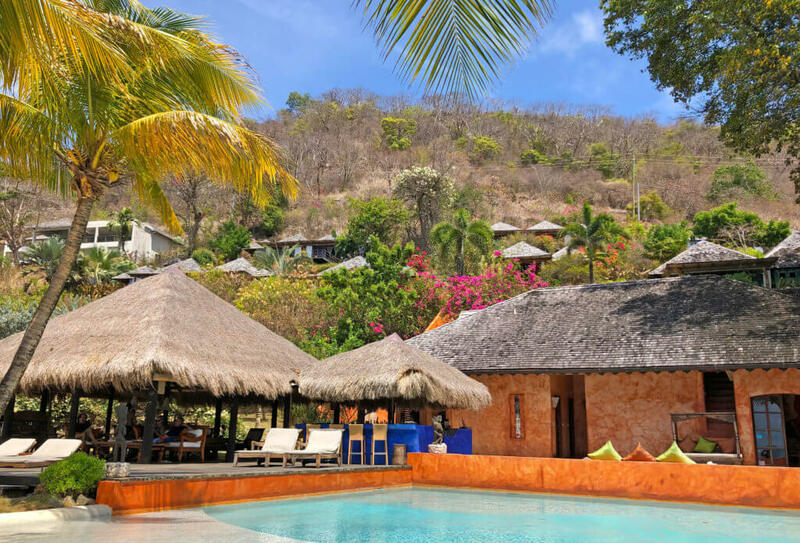 Adding to the value of the many reasons to visit during the dry season in Grenada. Book now and get up to 25% off your stay. Email [email protected] directly for more details, on this special offer.